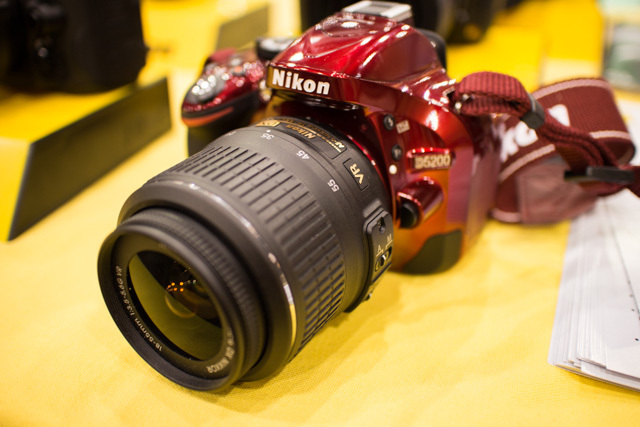 The Nikon D5200 finally made its way to the US at CES 2013. I spent a few minutes checking out the new camera at a press event and wanted to pass along some images and initial thoughts on this entry-level DSLR. The D5200 is built very much like the D5100, which seems to be a good thing overall. It is available in black, red and bronze. I’m not a big fan of the red or bronze colors, but if that’s your thing, go for it. Ergonomically, the D5200 is a more compact DSLR (again, like the D5100 and Canon Rebel series); however, it offers plenty of manual control and access to features via buttons and dials on the camera’s external. On the rear of the D5200, we’ve got the standard side-swinging LCD panel, which measures 3-inches and is a 921k-dot res display. I much prefer this side mount design over the D5000’s LCD that hinged on the bottom of the camera. 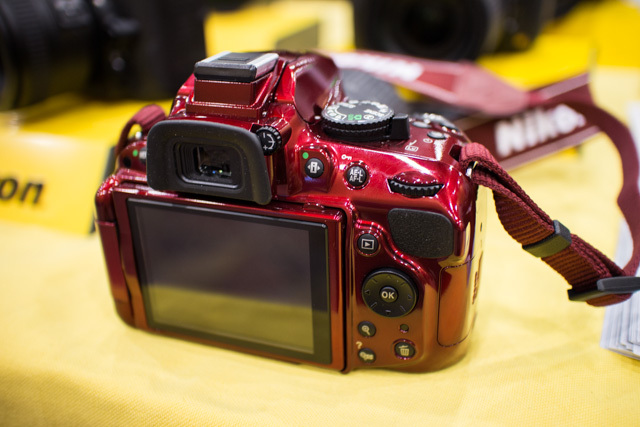 Everything about the D5200 seems fast – from shutter response to AF speed. 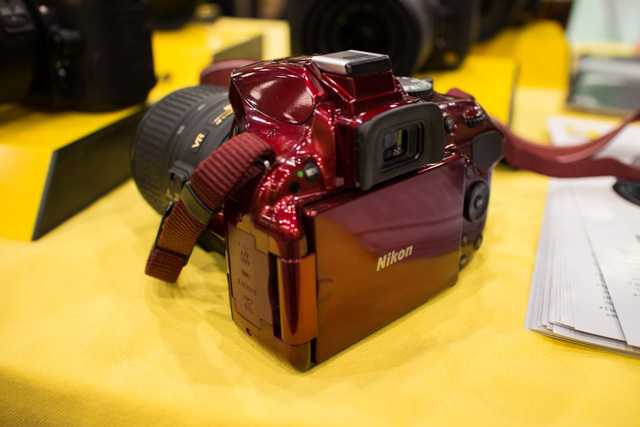 This is a third-generation design of this model, so it makes sense that Nikon has its operation very smooth and fast. The D5200 features a sensitivity range of ISO 100-25,600 for a wide range of lighting conditions. Max frame rate on the D5200 is 5fps for still images. On the video side, the D5200 captures 1920 x 1080 HD video at a variety of frame rates – 60i, 50i, 30p, 25p and 24p. There is a direct-record button near the shutter release on the top of the camera. A built-in stereo mic rests on top of the camera just in front of the standard ISO hot shoe. Additionally, a mini-jack mic input is available for using an external mic like the Nikon ME-1 or Rode VideoMic Pro. A couple of internal specs that I didn’t get to really dig into are the massive resolution coming from the 24MP APS-C sensor, which is manufactured by Toshiba. This new sensor gave the D5200 top marks for an APS-C camera across all other brands in the DxO Mark sensor test. 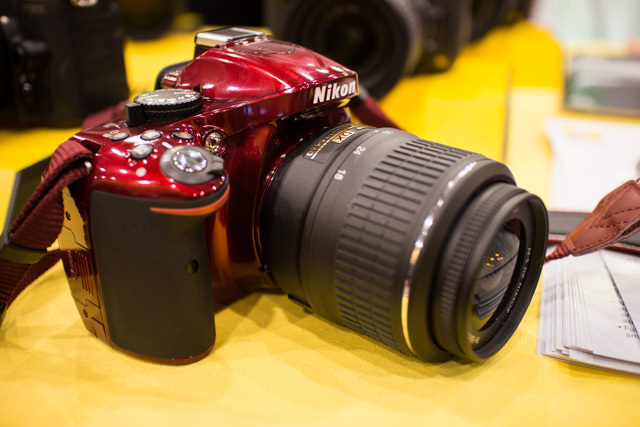 Combined with a solid 39-point AF system, the D5200 may be the entry-level DSLR to beat. 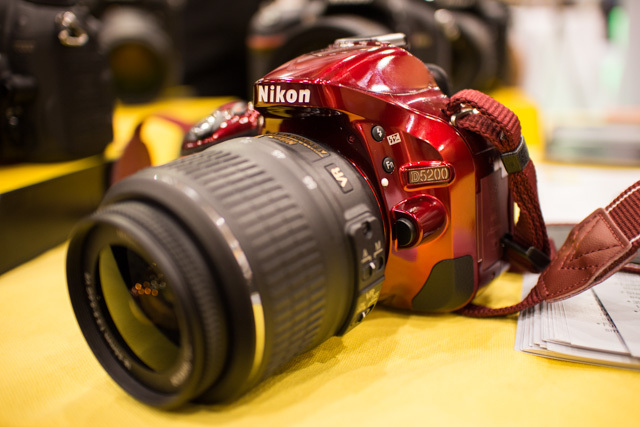 …dressed in red it looks like one of the “transformers” .. hehe..
I’m Sold on Nikon Camera’s Nikon Rocks. 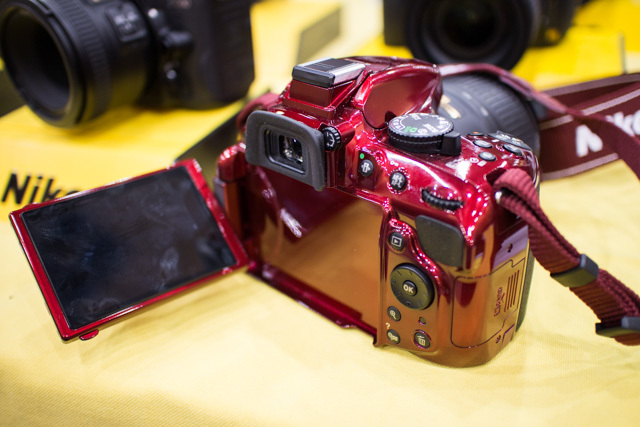 Wow, a pimped camerabody! Neon lights, anyone? 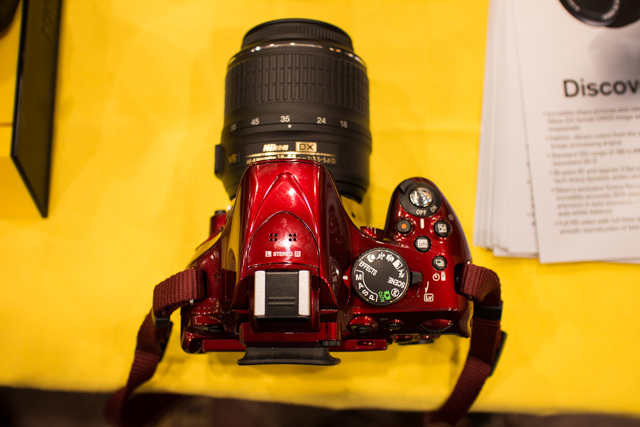 I must admit that I am seriously considering selling my Panasonic G3 + lenses for one of these.